also spelled HERAKLEION (pop. (1981) 102,398), historically CANDIA, largest city and principal port of Crete, and capital of the prefecture of Iraklion. The city lies on the north coast just northwest of the ancient Minoan capital of Knossos. Its name derives from the ancient Roman port of Heracleum, which likely occupied the same site. As the capital of Saracen Crete in the 9th century AD, it took the Arabic name Khandaq ("Moat"), which was corrupted to Candia by the Venetians, to whom the island was sold in 1204. Most of the extensive system of walls built around the city by the Venetians survives. occupation, which ended in 1897, Candia was known as Megalokastro. The Turks permitted its harbour to silt up, and the port of Chania, the modern co-capital of Crete, took over Megalokastro's former commercial preeminence. The Turkish rule ended after an insurrection (1897) by the Greek population, demanding union with Greece. 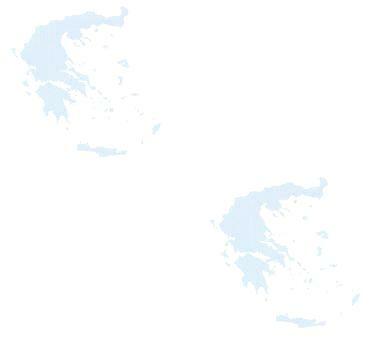 Iraklion was part of the international protectorate of Crete (1897-1913) and then became part of Greece. During the German invasion in 1941 the city suffered heavy damage from bombing. After World War II the city gained considerable commercial prominence, with a new harbour with moles, an airport, and many hotels to serve the tourist trade. Among the port's principal exports are grapes (especially sultanas), olives and olive oil, wine, carobs, citrus, almonds, soap, vegetables, and leather. Numerous earthquakes, notably in 1664, 1856, and 1926, have taken their toll of the city's buildings and monuments, including many fine churches and mosques. The modern Archaeological museum contains the finest collections of Minoan antiquities and is considered one of the most important in Greece. The visitor can feast his eyes on pottery, stone carvings, seals, statuettes, gold ornaments, metalwork and the marvellous frescoes from the Royal and the Little palaces and the various villas of the wealthy. It also contains the unique painted limestone sarcophagus from Agia Trias. The Historical Museum contains many important exhibits from the Byzantine, Venetian and Turkish periods as well as many documents from more recent times. There is a rich collection of local costumes, textiles, wood carvings and embroidery as well as a simulation of a typical Cretan house. Iraklion has a lot to offer the visitor. The old fortifications at Handak, reinforced for the Venetians in 1462 are still in good condition and of the seven bastions, Martinengo survives and offers a view of the entire city. In fact, the tomb of the world famous Cretan writer Nikos Kazanzakis is located there with the famous inscription: "I fear nothing, I want nothing, I am Free"!. On the south side of the fortifications one can still see two of the four gates to the city: the Hania Gate and the New Gate. Another fortress, Koules, that guarding the entrance tot he Venetian harbour is very imposing and dates from 1523. Near it one can see the Bentenaki, the breakwater connecting the harbour to the bay of Dermata or Koum-Kappi where the large vaulted arsenals were used for building the Venetian galleons. There are a number of fountains in Iraklion of which Morosini (1628), Delimarco (1666) and Bembo(1588) are worth visiting. Other interesting sights include the Palazzo Ducale which was the residence of the Duke of Crete and the reconstructed Loggia showing how gentlemen lived in days past. Finally the 13th c. Basilica of San Marco and the orthodox church of Aghios Tilos (1446), the cathedral of Aghios Minas and the church of St Catherine with icons by Michail Damaskinos (the most important member of the Cretan school) are worth visiting. Knossos (5km east of Iraklion). The most important and well known ancient site in Crete. Known to be inhabited since Neolithic times and famous for the Palace of Knossos built around 1900 BC. As a result of an earthquake at c.1700 BC the palace was rebuilt even more grand and majestic. It was finally destroyed (bringing about the beginning of the end for the entire Cretan civilization) at about 1450BC, possibly as a result of the massive explosion of the volcano which almost destroyed completely the island of Santorini. The Knossos palace (similarly to the other Minoan palaces) was not only the residence of the rulers but also the center of all religious and administrative activities of the area. A visit is an absolute must for all! Further south, 19km south of Iraklion, the ruins of a large Minoan mansion have been unearthed, probably a country estate of a local ruler. The visitor can still see the wine press, the olive press, weaving rooms and the remains of a potter’s kiln. Amnissos: This, at about 7km east of Iraklion, was the port of Knossos. The Villa of the Lillies with spectacular frescoes must be visited! Archanes: An interesting town to visit, not least for its Archaeological collection with remarkable finds from the Minoan Malia palace, the Fourni cemetery and the sanctuary at Anemospilia. Phaistos: This site, inhabited since neolithic times, is about 65 km SW of Iraklion, and was evidently the second most important palace-city of Minoan Crete, the palace of the mythical Radamanthes. It is smaller (about 9000sq.m.) but almost identical to Knossos with rooms arranged around a central court and illustrates the common heritage of the two sites. However, it was obviously not as richly decorated as Knossos palace with only a few remarkable frescoes and just a white plaster coating of the floors. The port of Phaistos has been located at Komos. Agia Trias: Here, about 3km west of Phaistos, were found the remains of a royal villa, probably the summer palace of the Phaistos rulers. Many of the most spectacular exhibits at the Archaeological museum at Iraklion, such as the Larnax, the Harvester Vase and the painted frescoes, come from this site. Malia: This, 34 km east of Iraklion, was the 3rd Minoan palace found on Crete after Knossos and Phaistos dating from about the same era (1900BC to 1450BC). It covered an area of about 9000 sq.m. and was the centre of the substantial district of buildings, including a cemetery, unearthed at Hrisolakos. Many spectacular finds, now at the Museum in Iraklion, were found here. Tilissos: This, at 14km west of Iraklion, is the site of the oldest Minoan city of central crete. Among the ruins one can distinguish three large buildings which were probably the residences of the local rulers. The cave of Eileithyia, 1km south of Amnissos, was used as a place of rituals from the Neolithic times right up to 5th c. BC. It was dedicated to the goddess Eileithyia, the goddess of childbirth. A number of spectacular finds of women during childbirth, or nursing or praying were unearthed here and are exhibited at the Archaeological Museum of Iraklion. Neolithic artifacts such as shells, tools and animal figures have been found here too. A second Cave at Kamares, about 57km from Iraklion, reached was also used as a place of worship during the early Minoan period, probably also dedicated to the goddess Eileithyia. The remarkable Kamares vases were found here and are exhibited at the Iraklion museum. The cave of Agia Paraskevi Skotinou, 22km from Iraklio, was also used for cult worship both in antiquity but also during the Christian era. Gortys: A Roman city, about 45km south of Iraklio and the capital of the Roman province of Crete and Cyrenaica. Actually, the city was built on top of much earlier Minoan ruins from the 16th c. BC. The most distinctive findings are those of the Odeon where the famous 6th c. BC Gortyn Laws were inscribed. These were written in Doric dialect (spoken by Spartans and other Dorians as distinct from the Attic dialect spoken by the Athenians and their relations) and were even referred to by Plato in his discussions. Other remarkable sites include the Praetorium (2nd c. AD), residence of the Roman governor, the Nymphaion temple and the temple to the Pythian Apollo with the sanctuary of Egyptian divinities. At the nearby village of Gortys, one can find the 6th c. three-apsed basilica to St. Titus, one of the most important christian monuments in Crete. Kato Simi, Vianos: A significant Greco-Roman sanctuary to Hermes and Aphrodite has been unearthed here. Levina (Lentas): Sanctuary to Asclepios (the god and father of medicine) has been found here, as well as a number of Minoan vaulted tombs. Lyttos: Another, rather large, city from Greco-Roman times, with a number of remarkable buildings and temples. Fodele: A visit to Crete would not be complete without a visit to this village, 29km west of Iraklio, the birthplace of the world famous painter El Greco (Dominicus Theotokopoulos, b. 1545). The village is very picturesque in a verdant valley with many orange groves and plane trees. The Iraklion district has a number of important Byzantine Monasteries, the most important of which are the 15th c. Vrondissi, about 56km SW of Iraklion with a relief stone-curved fountain and a panoramic view, close-by the abandoned monastery of Varsamoneri with the church of Aghios Fanourios with very remarkable frescoes of the cretan school and near St Nicholaos, the Monastery of Kardiotissa.